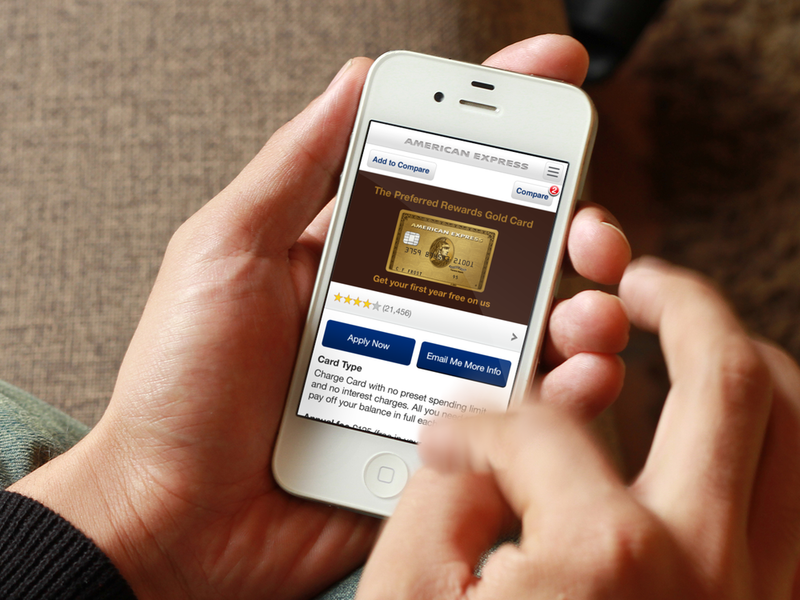 Enhance the mobile prospect journey by integrating ratings & reviews to drive more card applications. The American Express mobile prospect journey enables potential customers to learn about cards and apply from a mobile device. The introduction of ratings and reviews on the desktop in the U.S. market resulted in a 15% increase of conversions to card applications. Taking on board this trend we were charged with integrating ratings and reviews into the Mobile Prospect Journey to be piloted in the Canadian market. 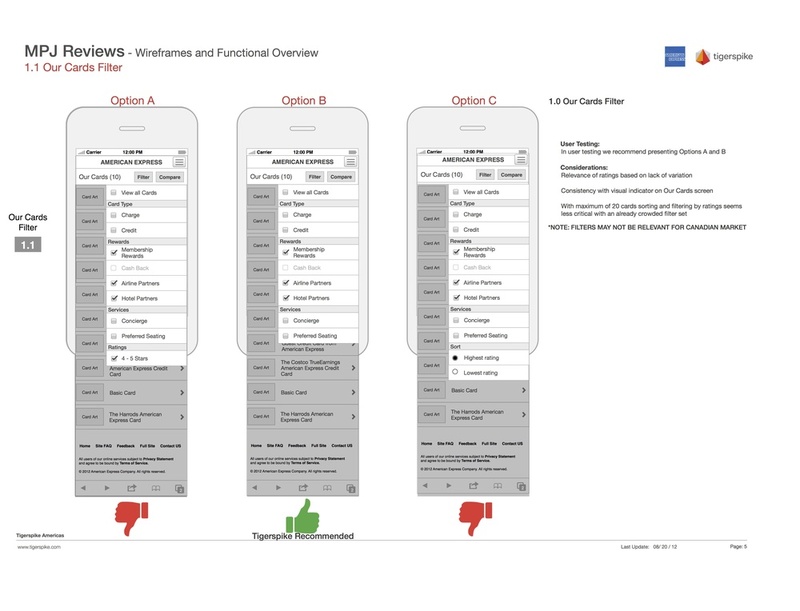 An exercise integrating ratings and reviews into the American Express mobile project journey to validate business requirements and hypotheses in usability testing. Site Map to identify opportunities to integrate ratings and reviews information. Evaluated the client-provided statistics, current mobile prospect journey and the proposed desktop experience. To challenge business assumptions drafted hypotheses to explore different solutions for agreed upon screens. Exploratory exercise with business stakeholders to propose journeys for HTML prototype. Integrated ratings and reviews into the mobile prospect journey through an exploratory exercise for business stakeholders. Recommended layout to be carried through to usability testing. Like concept work, annotations were focused on business and usability testing audience rather than development. 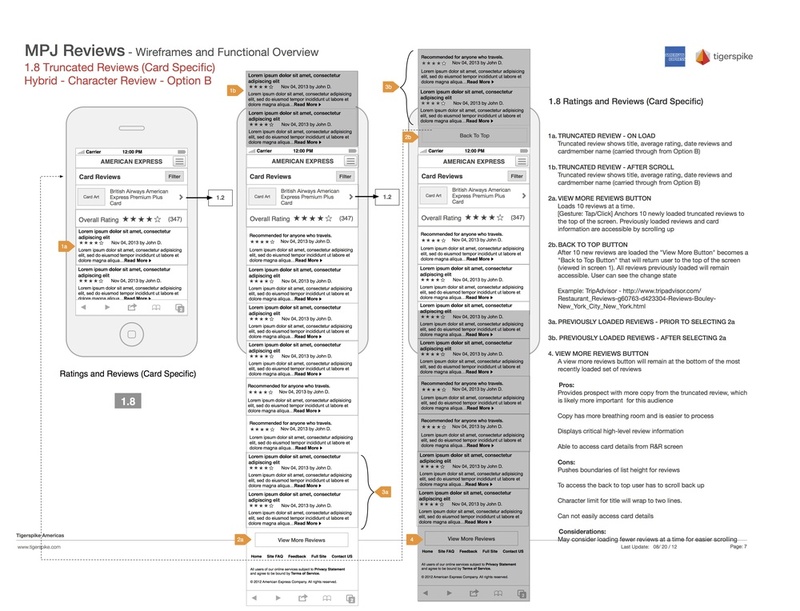 Annotated wireframes for rendering of new ratings and reviews page for American Express Mobile Prospect Journey. Final visual design for new ratings and reviews page. Nayong Park continued the visual design work he had done on the initial mobile prospect journey, both enhancing past screens and creating new screens in alignment with the agreed upon user journeys. Colby Dauphinais and Justin Shephard executed front-end build of HTML prototype for usability testing sessions. The usability testing team spoke with 11 potential card applicants at various stages in the process of seeking a credit card to verify our design assumptions regarding ratings and reviews on both the proposed desktop and mobile solutions. Users preferred the mobile to desktop for overall site usability, which I was responsible. Future project to be undertaken to adopt feedback and deliver pilot to relevant international markets.